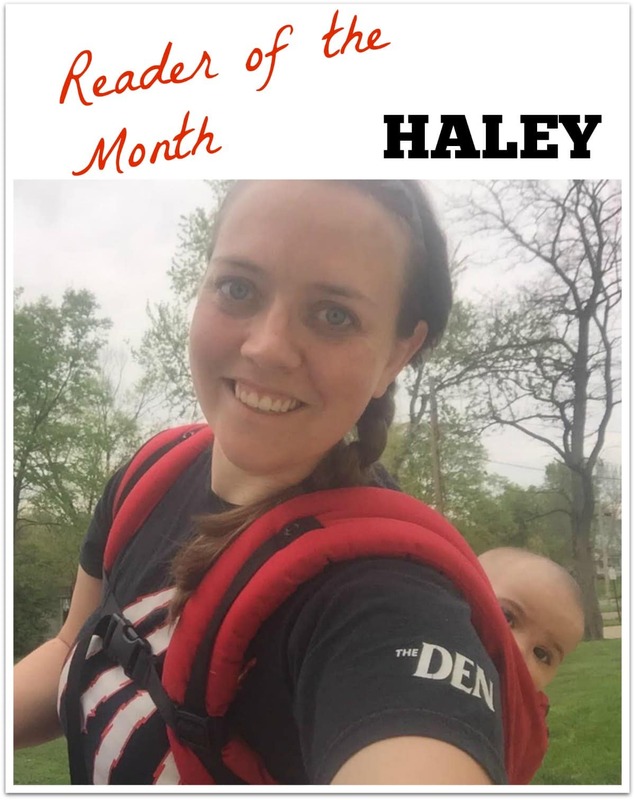 Reader of the Month: Meet Haley! 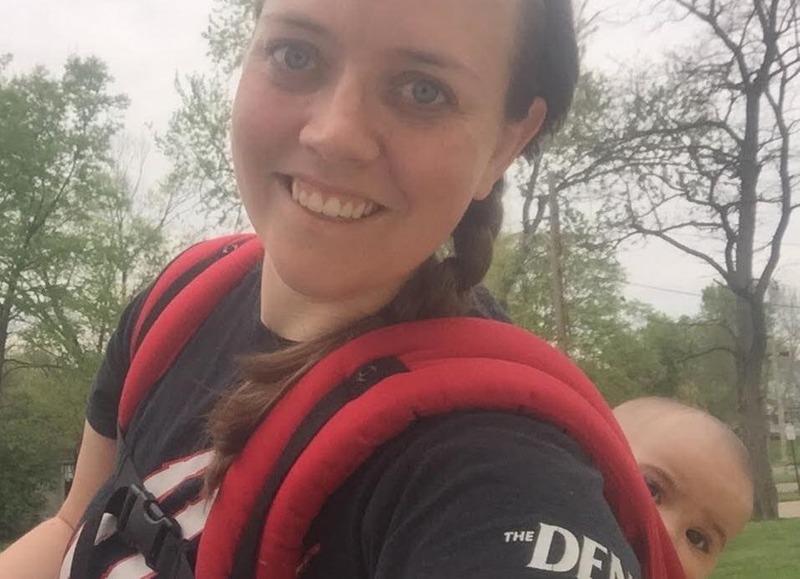 You are here: Home / Lifestyle / Featured Readers / Reader of the Month: Meet Haley! My monthly “Reader of the Month” feature is quickly becoming one of my favorite posts! It’s so fun learning about the people behind this blog that make up the community! I say this all the time and it’s true: a blog is nothing without its readers. Today’s reader of the month is one of my absolute favorites: Haley! She and I have also become Facebook and Instagram friends, and while we have never met in real life, I feel like I could meet her tomorrow and we’d start chatting away like we’ve known each other for many more years than we’ve been connected online. So let’s turn it over to Haley! How long have you been thrift diving and loving junk? Share with us your earliest memories of thrift stores and how you learned to love them. “Since birth 🙂 My grandmother loved going to garage sales and thrifting. She was always finding great deals and collecting things… she was what you would call a maximalist. She had so many sets of china, almost everyone in my family got a full set when my grandparents downsized. She used to hit up every single garage sale and rummage sale in the area and I remember tagging along on some of those adventures. What’s your most prized possession you ever bought from the thrift store? 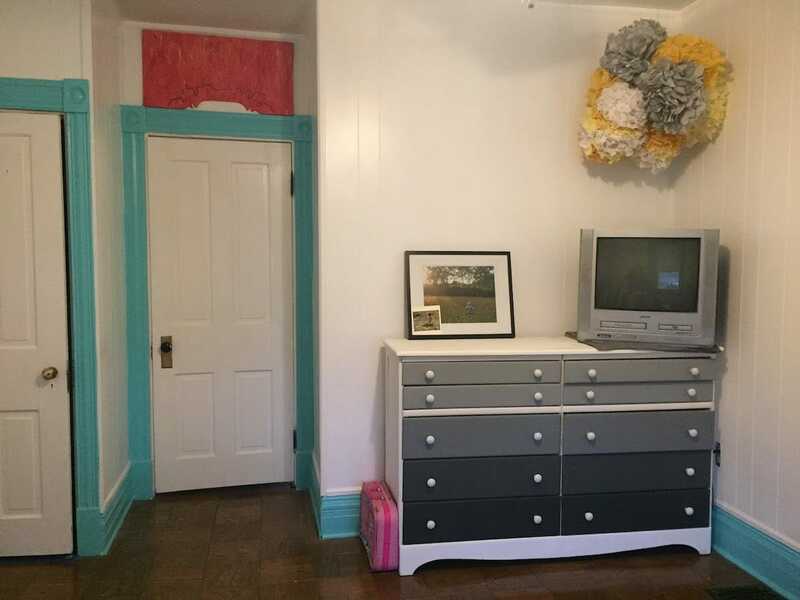 “The piece I love the most would probably be my gradient dresser. 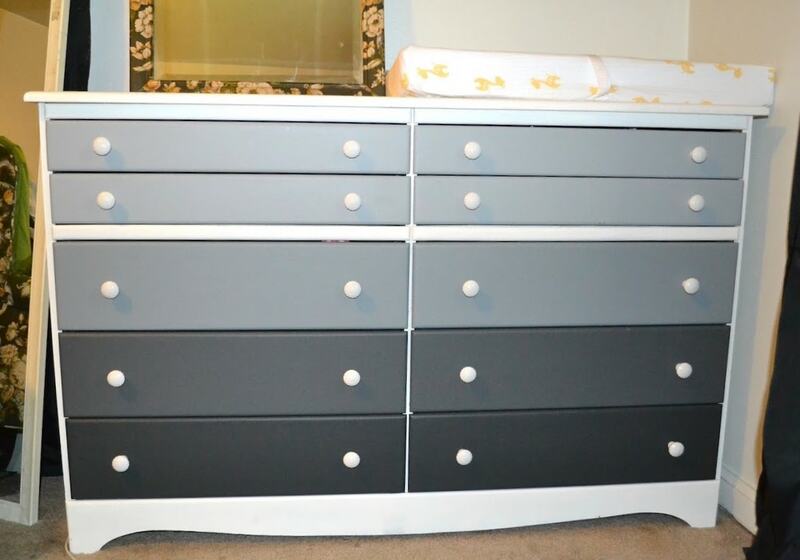 My friend and I thrifted this when I was 7 months pregnant and I bought it without having any idea how we were going to get it in the car or if it would even fit in the spot I was buying it for…..
What’s the most expensive thing you ever bought from the thrift store? “I bought this desk for about $65. We got this from the same thrift store I bought the gradient dresser from. My mom and I didn’t know that you just had to bring the tag to the front and we ended up dragging it up to the cash register squeaky wheels and all… so many stares from the other shoppers. It wouldn’t fit in her car so we paid a guy with a truck a couple bucks to drive it up to their house. We spent the rest of the day painting it and getting ready to move it to my apartment. 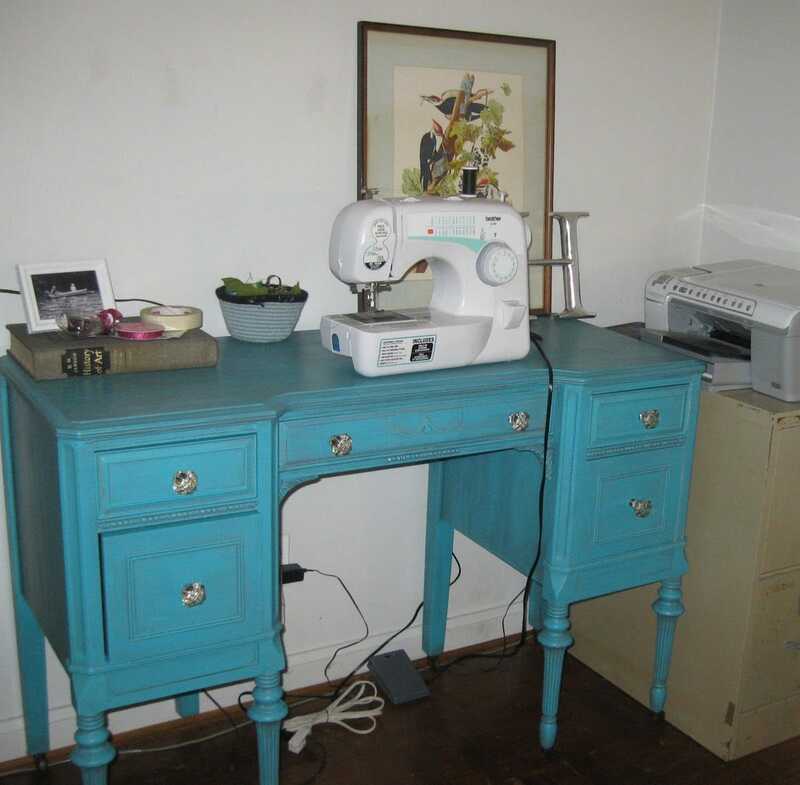 I spent a lot of time sitting at this desk sewing and working on other projects. What’s the DIY or craft project of which you’re most proud? Why do you like reading Thrift Diving and how long have you been reading? 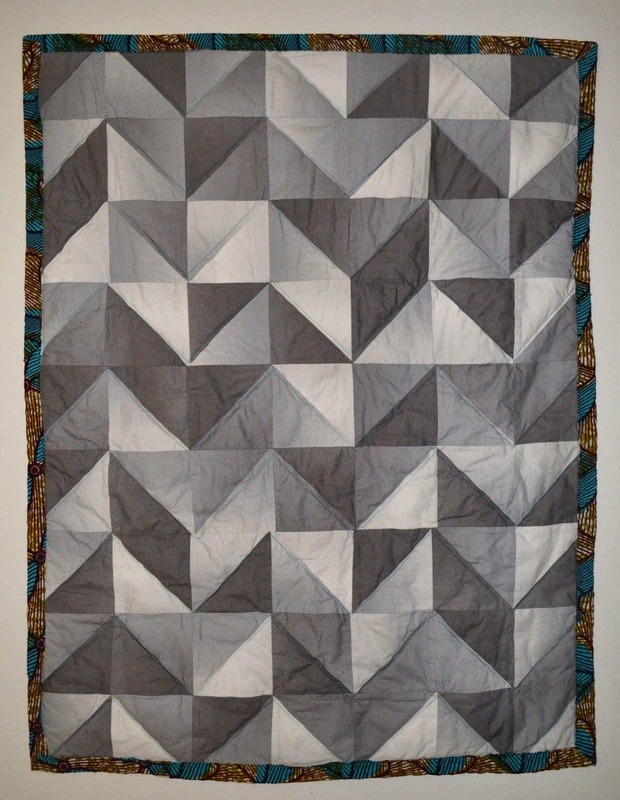 What are your favorite types of posts or projects on the blog? What other DIY blogs do you like to read? Are there other blogs that you love to read outside of the DIY niche? “The real question is what other DIY blogs DON’T I read… I love reading blogs, seeing what bloggers are working on, learning new things, and gathering inspiration. I mostly read DIY, interiors, and some lifestyle/mommy blogs, but mostly love the DIY ones. 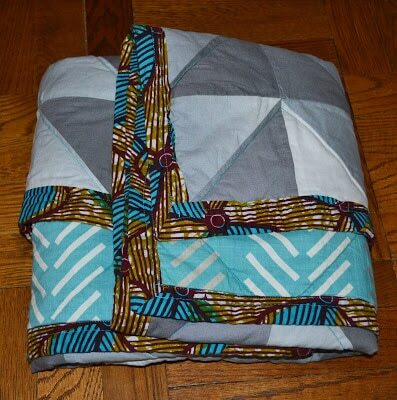 What DIY or crafting tips do you have for others? Haley’s Rockin’ a Fred Sanford Tee! 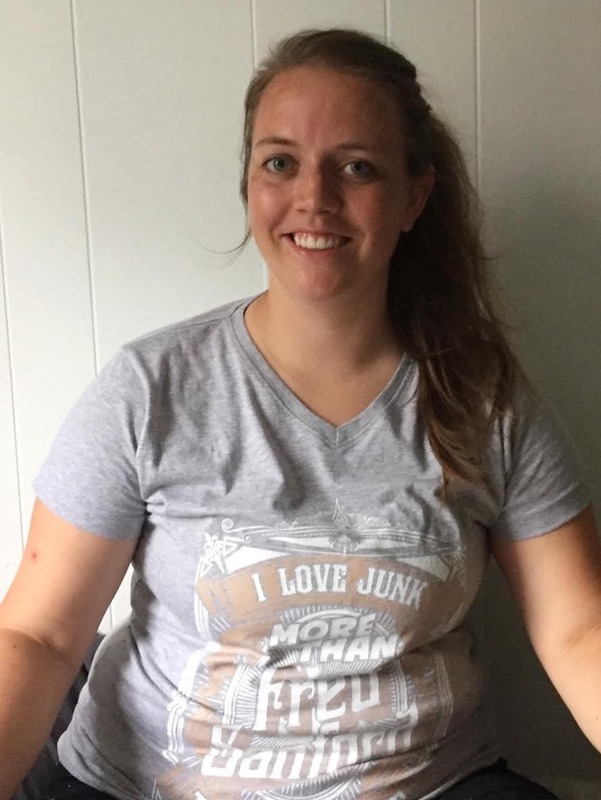 For every Reader of the Month feature, I send them a little gift–either one of my I Love Junk More Than Fred Sanford shirts or a tote bag. Haley got a shirt and was nice enough to send a picture of herself wearing it when I asked her to send one! 🙂 I love it! 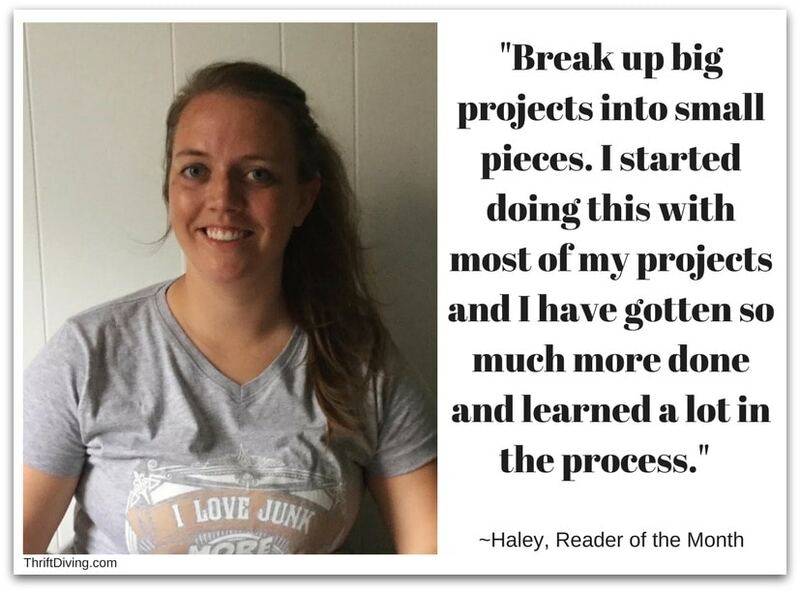 Thanks, Haley, for reading Thrift Diving and for sharing your story and projects with us! « Throw a Birthday Card Scavenger Hunt! Hi Haley! I love re-making something into new and to not just throw it away. 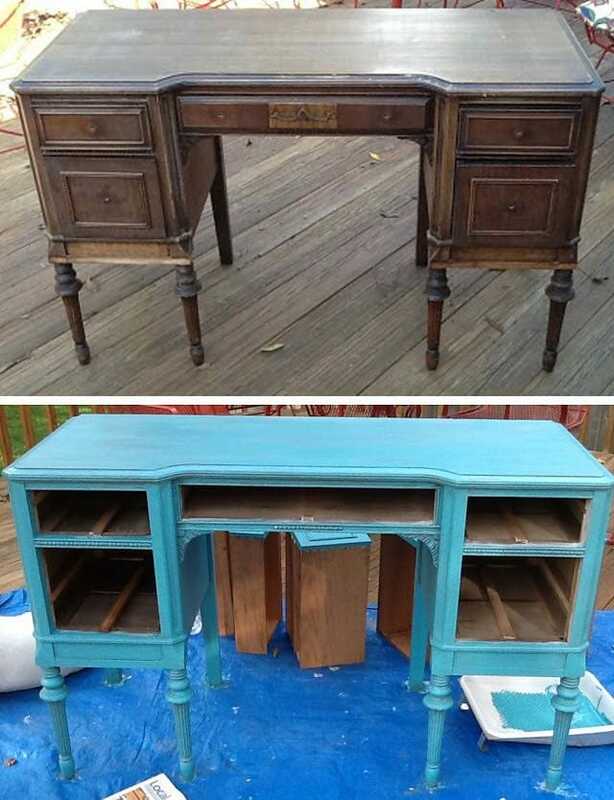 A little elbow work and some paint/stain does wonder! Happy DIYing!! I think it’s so nice to be able to connect with folks of a similar bent as I – I’m one who can’t stand the idea of a piece of furniture going to waste, when it could be personalized and enjoyed! Good luck, Haley, and thanks, Serena! YES! I want to save all the furniture. Our little city has a junk day where you put out all your large stuff for people to trash pick or the garbage man to pick up. It was so hard passing up some of the furniture because I knew I didn’t have room for it. It would make me so happy to drive by later and see that someone else picked it up. Thanks so much Serena! … And thank you for always inspiring and teaching us readers! Hello Haley! It’s nice to see your smiling face with one of your babies in tow. I remember my baby-wearing days fondly. You’ve done some impressive DIY projects and it looks like you’re having fun. It’s so nice to have stories to go with each project. Serena is wonderfully inspiring. It’s nice reading about other DIYer’s on her blog. Hey Alys! Thank you! 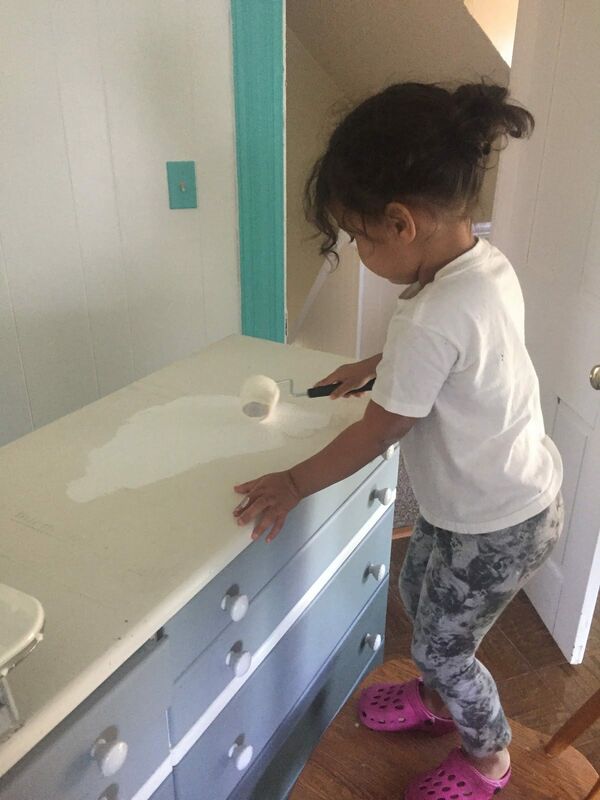 DIY has become a family activity and we’re loving each project as we make our house a home. 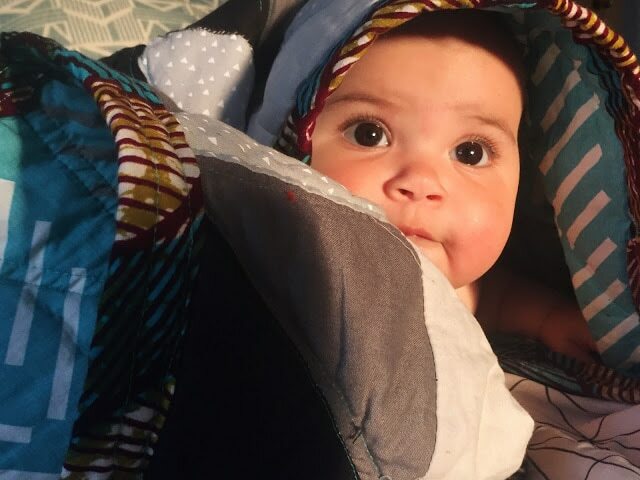 Babywearing always adds a little extra work to each project, but she sure does love those naps.